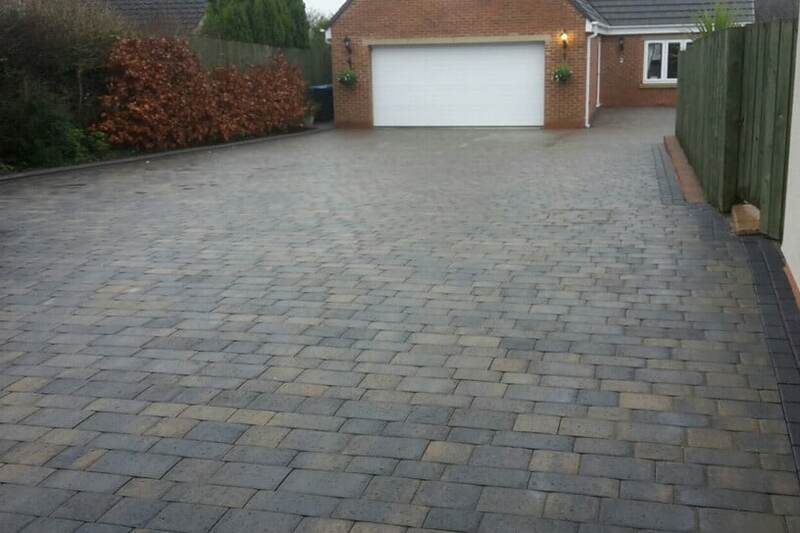 Here at N & Paving and Driveways, we have being installing driveway paving in Newcastle, Gateshead and other areas of the North East for over 20 years. How have we survived for so long in the area when other driveway companies have come and gone? The answer is simple, we offer very competitive prices and have a team of timeserver pavers who don’t take shortcuts. We believe in carrying out the job to the best of our ability, our pavers have years of experience in the paving, driveway and grounds maintenance industry. Non of our pavers are sub-contractors they are all our own workmen. Our team pride ourselves in doing a good job for our customers. Most our work comes from repeat custom or recommendations from satisfied customers. When it comes to choosing the right driveway paving, there are many choices of shapes, colours, textures and designs on the market today. A lot more than there was 20 years ago when we first set up our business. In recent years, we have seen the market change quite a lot, with more and more cars on the road. There has certainly being more demand for larger driveways so households can accommodate more cars, many taking up their front lawns. Taking up your front lawn does not mean that your property has to loose its charisma and style. Our team have years of experience in creating beautiful driveways, pathways and features, we work with homeowners to come up with imaginative ideas to make their driveway look appealing to people visiting their property. Adding borders and curves to your driveway can all make it look different and certainly give the WOW factor. On a few larger driveways, we have created designs around focal points such as trees to make them more appealing and looking less like a car park. Pathways, circles, patio areas can all be added into the design, if your project requires re-turing we can take care of that too. One of our most popular paving products is the North East’s very own Beamish Cobbles. This design of period style paving is absolutely stunning, it helps re- create a look of “olde worlde” style period paving. It does not just look great on period style properties it also can look surprisingly good with contemporary styles of properties. The surface, texture and shape makes it perfect for driveways. It offers a random cobbled appearance when created using two widths of block paving. There are 4 different colours available in this design, Brindle, Burnt Ember, Harvest and Stone. You will see both the harvest and brindle featured on the images on this article. We have many, many different block paving options available, we deal with most leading manufacturers. Therefore if you have seen a type of paving you prefer, just let us know and we will do our best to source it for you. Concrete driveways are typically the choice for homeowners which require something a little more tougher than a traditional driveway. 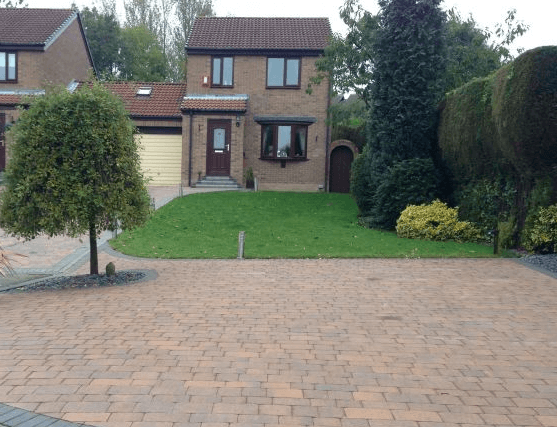 This type of driveways lends itself to a large choice of design options, concrete driveways offer many different pattern options many resembling brick, slate or a tiled effect. A variety of different colour options are also available with concrete driveways, just ask us for details. Keep informed of all our latest news, offers and projects. If you would like to see some of our more recent projects, keep informed of new products and promotions, please join our Facebook Page.